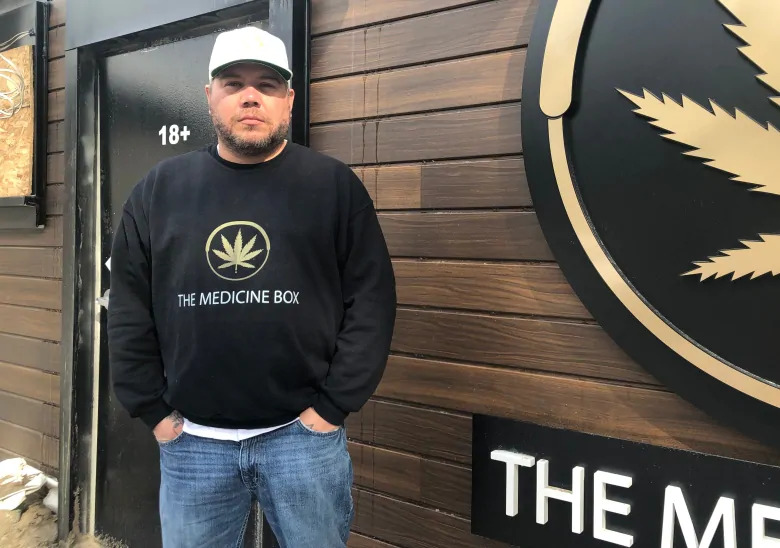 The Indigenous cannabis industry in Canada is growing quickly. 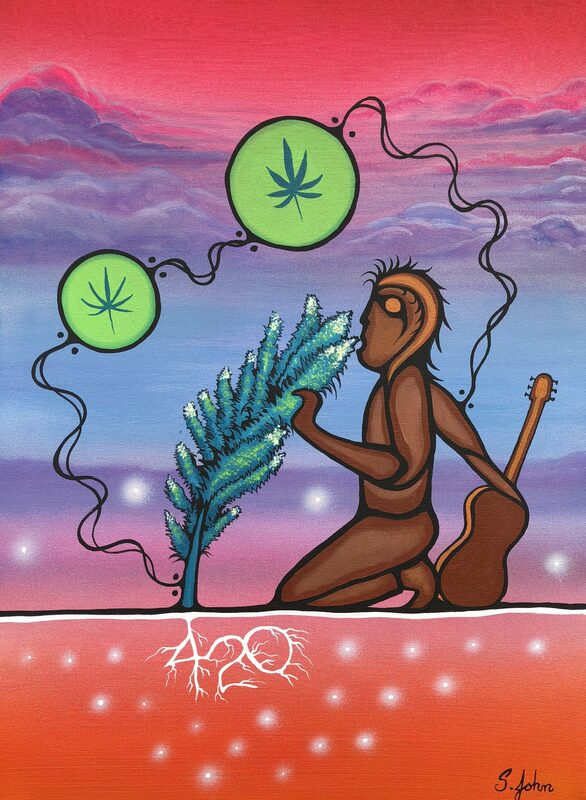 There are two main aspects of the industry on reserve, grassroots people who are opening up their own dispensaries, and deals made by Band Council leaders with Licensed Producers. 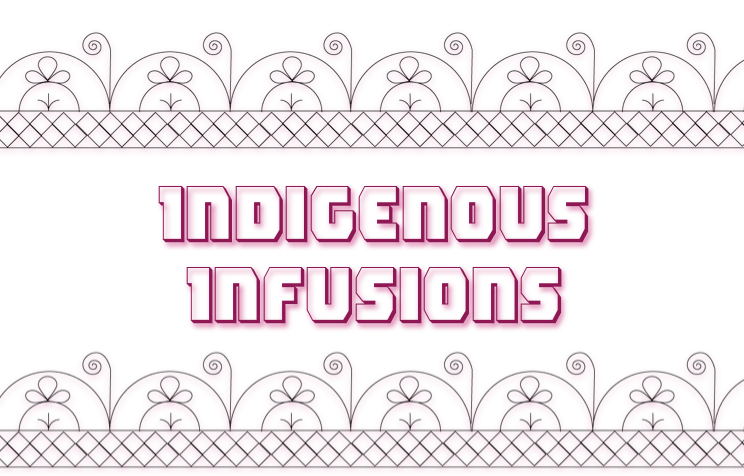 The following is a brief summary of some of the latest Indigenous cannabis news. Artwork by Steven John. 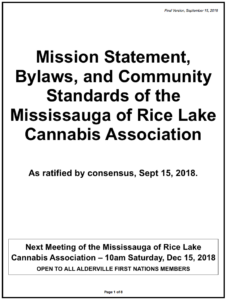 ALDERVILLE – The Mississauga of Rice Lake Cannabis Association (MRLCA) held its second quartely meeting on Sept 15th. 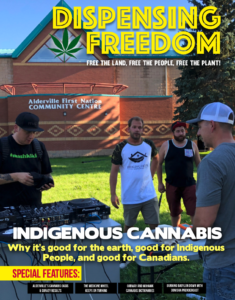 The Association is a self-regulating authority created by Alderville First Nations members who consume, sell or grow cannabis. 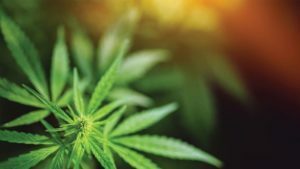 Alderville’s Chief and Council have remained aloof from regulating the cannabis industry on reserve. 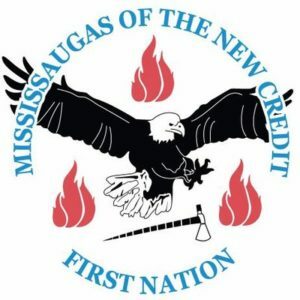 The MRLCA’s first major action was to organize a successful survery which received over 140 responses. 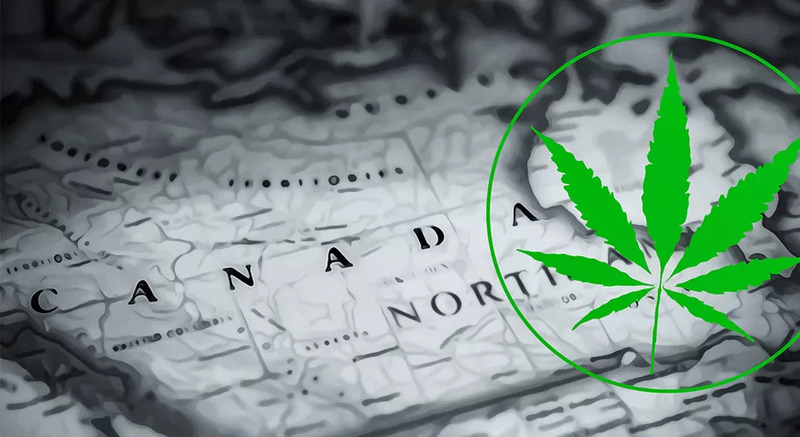 Respondents were strongly in favour of the local cannabis industry, with over 90% supporting Alderville’s “sovereign right” to build its own cannabis economy. 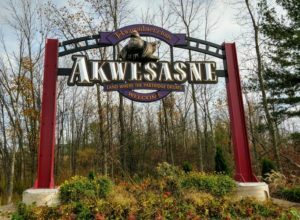 AKWESASNE – This Mohawk community on the St. Lawerence river near Cornwall, ON is home to Canada’s first Indigenous owned and operated cannabis producer licensed by Health Canada. 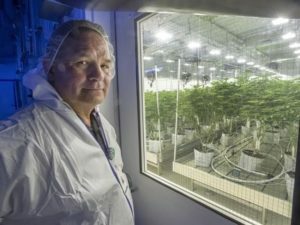 Seven Leaf, located in a former water bottling plant on Cornwall Island is planing to produce for the recreational market, on and off-reserve. 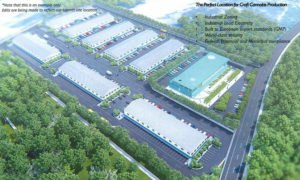 Company president Lewis told the Ottawa Citizen that the facility is expected to create 75 full-time jobs and to have a yearly payroll of $3.6 million. 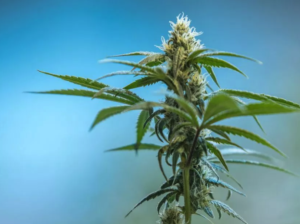 The one complicating factor is that those seeking to distribute cannabis on the reserve must deliver to distributors on the land locked south shore by boat or by plane since the US will not allow cannabis through its borders. 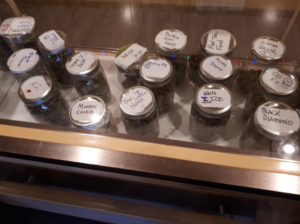 CHILLIWACK – There are now two Indigenous cannabis dispensaries in the Chilliwack area. 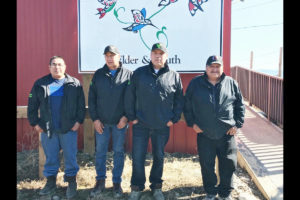 The Kure Cannabis Dispensary opened in April of 2018 on the Skwah reserve. On the nearby Kwaw-kwa-Aplit reserve Indigenous Bloom opened in May. 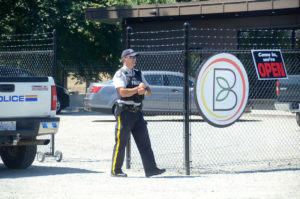 Both dispensaries were raided by the RCMP on July 12. 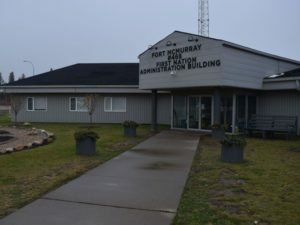 FORT MCMURRAY – The Fort McMurray #468 First Nation has started construction of a $12 million facility that will grow an estimated 2,600 kilograms of cannabis annually the Edmonton Journal reports. 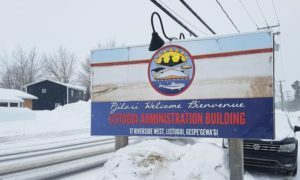 The facility is expected to create 25-40 jobs and is seen as part of a harm reduction strategy to deal with opioid addiction. 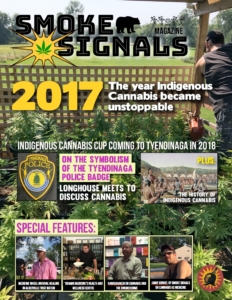 The First Nation is partnering with RavenQuest, a group which has created the Indigenous Peoples Cannabis Association. 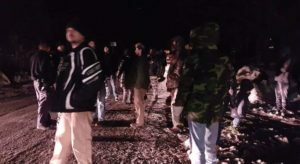 KAHNAWAKE – The Mohawk Council of Kahnawake received a harsh rebuke to its proposed cannabis law in a community meeting held on October 3rd. 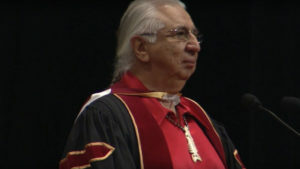 The meeting rebuked the Band Council for failing to consult effectively with the community and for over-reaching in it’s efforts. 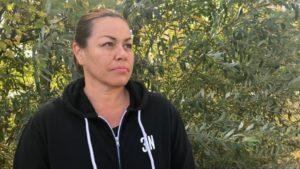 The Eastern Door quoted Kwe’tí:io Goodleaf, owner of Greenleaf, which has been shut down three times by the Peacekeepers, as saying “That’s not my law I don’t identify with that. 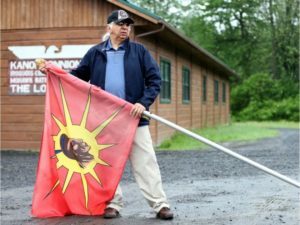 I’m my own person, this is my land, and I will do what my grandmother said I can do here, and I’ll do it with respect.” Meanwhile, the Kahnawake Longhouse has come out against the legalization of cannabis and in favour of a “zero tolerance position” towards all drugs. The status of the MCK law in unclear with some suggestions that it will be put to a community referendum. 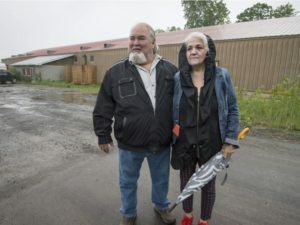 KANEHSATAKE – A Mohawk couple Blake and Anna Freeman have received the green light from the Kanesatake Band Council to retrofit a 40,000-square-foot Bingo building on reserve into a cannabis grow. 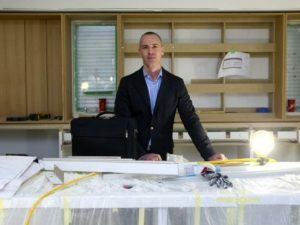 According to the Montreal Gazette, the couple has already invested one million dollars into the building, and is looking to partner with potential investors, including some on the TSX. 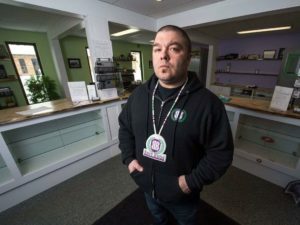 ONEIDA – Four Indigenous cannabis dispensaries are up and running in the Oneida community located near London, ON. 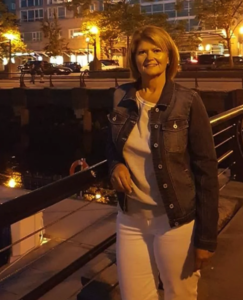 Current Band Council Chief Jessica Hill was quoted by the London Free Press as being critical of the outlets for opening without permission. 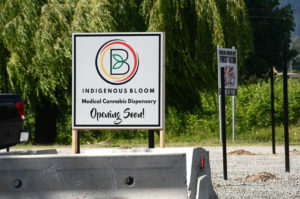 However, according to the London Free Press, the newest dispensary is staffed by former three-term Oneida band chief Randall Phillips. 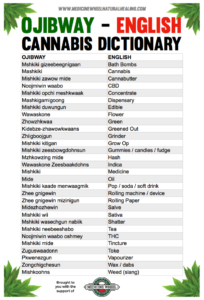 SIX NATIONS – The Six Nations Elected Council announced on Oct 17th that it “has begun the work of establishing a Cannabis Control process for the Six Nations community.” The regulations being considered by SNEC are based on the model proposed by the Mohawk Council of Kahnawake. 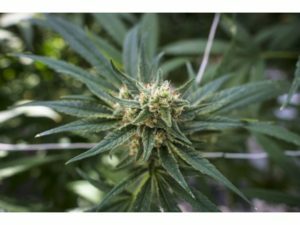 SNEC has been holding district meetings to discuss cannabis regulation but has remained hostile to the grassroots dispensaries on reserve. 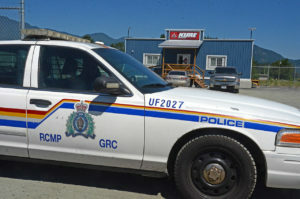 The Six Nations Police Department has carried out almost a dozen raids to shut down dispensaries on the territory. 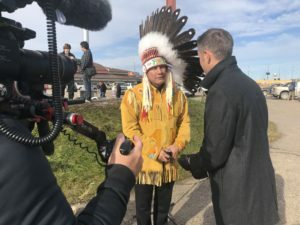 TSUUT’INA NATION – On November 18-21, the first National Indigenous Cannabis & Hemp Conference will be held at the Grey Eagle Resort and Casino on the Tsuut’ina Nation. 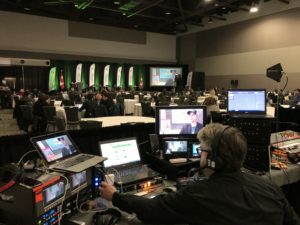 The conference features a who’s who of leading Indigenous experts from the medical, legal, and business communities with proven experience in cannabis and hemp production. 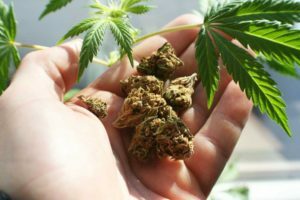 The conference will include two days of in-depth presentations and panels, followed by an optional day to visit local cultivation, medical, and retail operations. 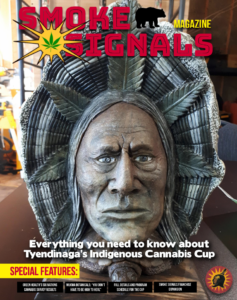 TYENDINAGA – With over 50 cannabis dispensaries lining its streets, Tyendinaga Mohawk Territory remains the capital of Indigenous cannabis on Turtle Island. 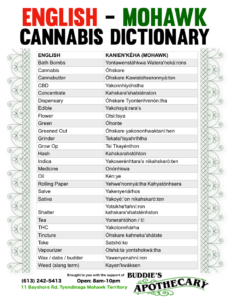 While accepting that it’s new cannabis regulations would be ‘unenforceable’ for the forseeable future, the Tyendinaga Band Council has passed a version of the Kahnawake cannabis regulations to forestall interference from the Provincial or Federal government. These laws are intended as an interim measure as a new community led rules framework is being drafted over the next 18 months. 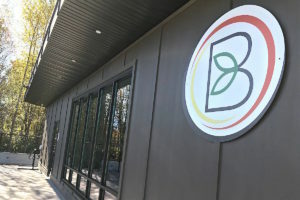 WHITE BEAR – Chief Nathan Pasap says that the White Bear First Nation is exploring its options for retailing medicinal and recreational cannabis. The community is in the process of creating their own self-regulated system of laws in their community. 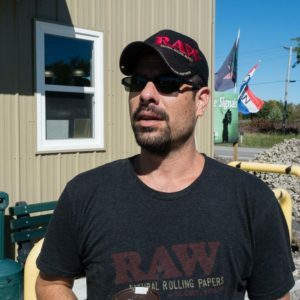 Pasap was quoted by the CBC as saying “If the provincial government wishes to challenge us or shut us down then we’re going to end up in a judicial process because they failed to consult us… both the federal and the provincial government.” Pasap believes that his community has the jurisdictional right to control cannabis and pointed to a 1993 case the community won over the opening a community run gambling operation for vindication.